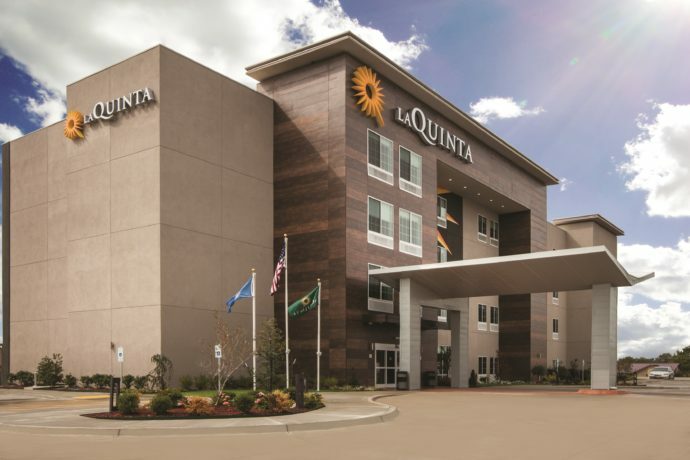 The brand new La Quinta Inn & Suites Suites Opelika-Auburn in Opelika, Ala., was one of seven new La Quinta by Wyndham hotels to open in Q3 2018. PARSIPPANY, N.J. (Nov. 13, 2018) – Wyndham Hotels & Resorts, the world’s largest hotel franchisor with more than 9,000 hotels and 20 iconic brands, bolstered its leading network of midscale offerings in the third quarter of 2018 and strengthened the presence of its La Quinta by Wyndham brand with the opening of seven hotels across the U.S.
With more than 910 upper-midscale and midscale destinations in North and Latin America, La Quinta is a bright spot in every travelers’ journey. Whether traveling for business or leisure, guests can rest assured, relax, and recharge thanks to the brand’s Bright Morning Bed®, free Bright Side Breakfast®, spacious in-room work areas, and free high-speed internet. For more information, visit www.lq.com. Like and follow La Quinta on Facebook, Twitter, and YouTube.